#ImYourHero: Doraemon Wants You to Spread Love and Fight Bullying! Our favorite Japanese cat-type robot from the future, Doraemon, aims to spread a reminder that everyone can be a hero to anyone, with its anti-bullying campaign, #ImYourHero. With the beloved character’s story derivation from the comic books, Doraemon is perfect for the role. Doraemon’s character embodies honesty, perseverance, courage, family values, and respect in a comedic approach. This 2017, TIME Magazine’s Cuddliest Asian Hero in 2002 reaches out to more fans with the help of the creative minds from Animation International (AI) Limited. AI also brought life to some popular anime characters that we grew up with like Hamtaro, Dragon Ball Z, Sailor Moon, and Digimon, to name a few. Doraemon has been a household name, especially for the 90’s kids (who are not so kids anymore today). Even so, the First Anime Ambassador from Japan is a versatile character who can adapt to anyone regardless of one’s age bracket. Who wouldn’t want a friend like Doraemon, anyway? With his handy gadgets from his 4D pocket and of course, a friend who stands by you no matter what! Doraemon is truly a hero. The beauty of Doraemon’s story is that it also demonstrates that heroes do commit mistakes. In the story, we can remember that it’s not always Doraemon helping out Nobita, sometimes, it’s the other way around, even with the other characters, like Damulag, Suneo, or Shizuka. 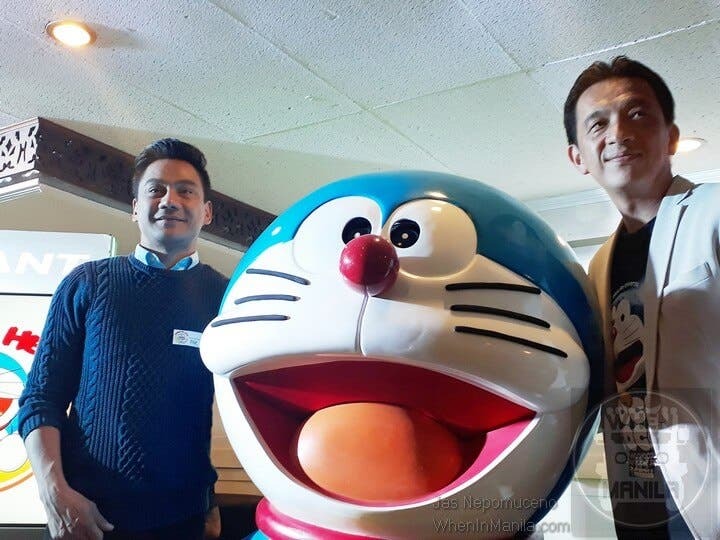 With AI Philippines’ intention to empower today’s generation that everyone can be a hero, we can expect to see more of Doraemon here in the Philippines in the near future! Watch out for the Doraemon ROADVenture! Mall Tour to meet and greet a life-size Doraemon and Nobita and take pictures with them, too! Everyone is invited to the Kick-Off Event of the Tour from August 7-13 at SM North EDSA The Block. Don’t worry if the Kick-Off event is too far from you, there are other venues to look out for! Who is BTS Member Suga?